Soothe irritated and dry skin with the Avène Tolérance Extrême Mask. Ideal for sensitive skin types and those prone to rosacea or redness, the intensive treatment works to nourish and hydrate skin without stripping away essential oils or leaving a feeling of tightness. 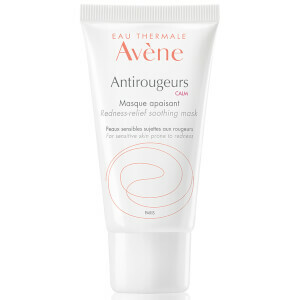 Formulated with a skin-friendly combination of just seven ingredients, the mask is enriched with Avène’s Thermal Spring Water to provide a burst of moisture whilst plant-based Glycerine helps to form a protective seal. Suitable for daily use, skin will be left feeling comforted, calm and restored. Dermatologically tested. Paraben and fragrance free. Apply morning or night to the face and neck after cleansing.